PHILLIPSBURG - Without exaggeration, the in June upcoming Caribbean Aviation Meetup in St.Maarten may be called the most significant and largest airlift conference ever held in the Caribbean. The numbers speak for themselves; thirty highly qualified professionals making thirty presentations spread over three days. Conference participants are coming from 28 countries and territories being: Anguilla, Antigua, Bahamas, Barbados, British Virgin Islands, Canada, Commonwealth of Dominica, Dominican Republic, Guadeloupe, Guyana, Jamaica, Luxemburg, Nevis, New Zealand, Puerto Rico, Saba, St.Barth, St.Eustatius, St.Lucia, St.Maarten/St.Martin, St.Vincent, Suriname, Switzerland, Trinidad, Turks & Caicos, UK, USA, and US Virgin Islands. Airlift is not just an aviation or airline matter. Its impact is vital for any economy. The number of tourists who are flying to visit a destination determine the overnight stays. The overnight stays are related how many rooms are occupied, how many restaurants are visited and how many days cars are rented. It is therefore that this conference gathers stakeholders from both aviation and tourism industries. 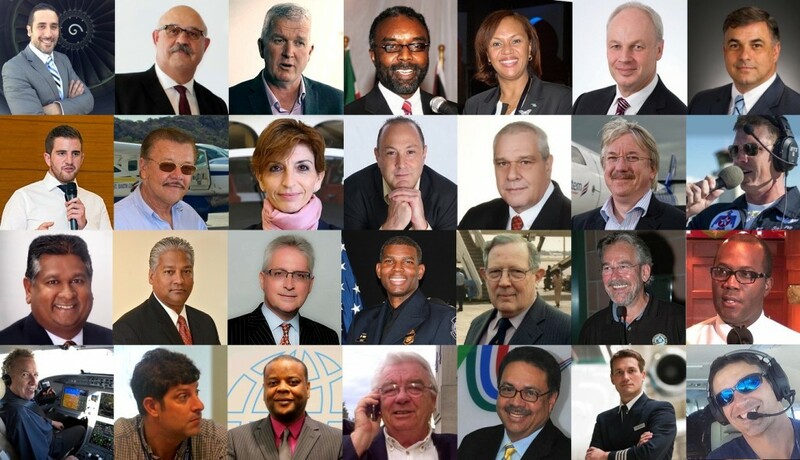 The Caribbean Aviation Meetup sets itself apart from any other political summit or industry association meeting that emphasizes one particular theme or subject only, be it airline routing, tourism sustainability, or a business sector. These meetings often miss an important point. If one focusses on one segment but cannot bring it in the perspective to other segments, then it becomes a matter of, popularly said, the left hand doesn’t know what the right is doing. Problems do not get solved effectively; they may even become more complicated. Departmental thinking may have an isolating effect. Exactly that it is why it is important to have a conference platform where stakeholders from aviation and tourism industries, as well government agencies and politicians gather. The purpose of the Caribbean Aviation Meetup is to bring parties from all industry perspectives and geographical areas together. The presentations have different objectives. For one, each of them is the introduction to what might be further discussed during the conference. Some of presentations offer new ideas and food for thought. Others may be informing, explaining, or educational. The conference will start with an opening reception in “St.Maarten Culture Style” sponsored by the St.Maarten Tourism Bureau on behalf of the Government of St.Maarten. The conference itself is hosted Princess Juliana International Airport – SXM Airport. During the Award Evening, the winner of the “Most Scenic Airport Landing in the World” contest will be celebrated. Four outstanding performances in Business Aviation will be honored with a Sapphire Pegasus Award. On Wednesday afternoon of the conference, there will be Airport Terminal and Air Traffic Control Tower tours, as well as a Static Display of four Aircraft. A factory-new seaplane will be flown in from Wichita Kansas by the US aircraft manufacturer Cessna/ Textron. The airplane will be available for demonstrations and splash landings in St.Maarten, Anguilla and Nevis. During the conference the potential future founding of a Caribbean Aviation Association or Caribbean Airlift Council will be discussed in informal meetings. An independent and impartial entity is considered desirable to provide professional expertise, coordination, and mediation in order to solve dilemmas and streamline procedures as well as for assistance in initiating and planning projects in the region. The entity may serve both aviation and tourism industries, but also government authorities. Currently, twelve international aviation and travel journalists as well as a TV crew are accredited. They are coming from the USA (4), Canada, UK, Spain, Switzerland, Barbados, St. Lucia and Trinidad. The conference will have a professional photographer on duty to support the media representatives. A videographer will cover the events and presentations of the conference. A selection of videos will become available on a YouTube channel of the Meetup.